Contemporary Research designs, engineers and manufactures HDTV modulators, IPTV encoders, HDTV tuners, and control products to deliver an integrated solution for Digital RF and IP Networks. CR is helping AV integrators realize the benefits of using RF Coax and IP in HDTV distribution systems throughout facilities. Headquartered in Dallas for over 20 years, Contemporary Research products are manufactured in Texas and designed to function in 24/7 installations. 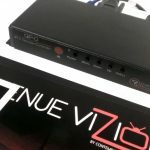 The Venue Vizion IPTV System, paired with the QIP-D decoder, round out IPTV streaming options exhibited at the Contemporary Research InfoComm 2018 booth. Crestron, MuxLab, tvONE, ZeeVee and many more make our list of the best IP transceivers, 4K fiber optic extenders and more IP control products of 2017. The Contemporary Research booth at InfoComm 2017 focused on a solution which controls video on up to 20 TVs – the new Venue Vizion. The Venue Vizion package of Contemporary Research products touted at Infocomm 2017 combines control and HD video distribution solutions, creating multiple in-house channels of content. City Clear Broadcast Group brings in four Contemporary Research QMOD SDI 2 HDTV Modulators/IPTV Encoders, loves them and anticipates buying more. From encoders and decoders to digital mixing systems, manufacturers such as Aurora, Biamp, Gefen and more introduced innovative solutions to support the growing demand for 4K. CI takes a look at the latest news in the industry: Carousel Industries acquires Atrion, Contemporary Research appoints Visitec as manufacturer rep for the Midwest, Herman hires a new regional sales manager for the Northeast, and more. With solutions for RF coax, IPTV and hybrid solutions, Contemporary Research is in a good position to answer our video distribution questions. CI looks at people and places making big strides in April: Creston opens new Experience Center, Herman enters partnership with AtlasIED, Christie has new director of solutions software and more. ATSC-SDI 4 is the first cost-effective HDTV demodulator that features onboard ASI and HD-SDI ports, as well as MPEG2 and MPEG4 decoding.